This tutorial is part of a series of tutorials we provide on content marketing and web content creation! We recommend subscribing to our FREE content creation course to learn how to create content for your website or blog. Why Use Content Rewriting Software? In this tutorial, we look at using content rewriting software. So far, we have looked at rewriting existing content gathered from different information sources around the web as a way of creating articles and posts for your website or blog without having to start things completely from scratch. Now, let’s look at some content rewriting tools that will help make this process easier. 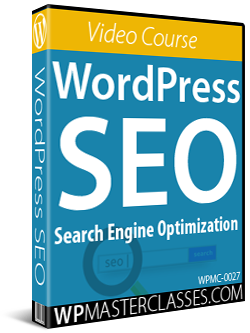 There are software programs available that can save you time researching and gathering content from various online sources, and then allow you to intelligently rewrite and combine the content into a unique and readable article that can provide value to readers and still be unique enough to be indexed by search engines. Instant Article Wizard gathers content from thousands of pages on the web like Google Web Results, Microsoft Word files, Adobe PDF files, content-rich articles, product reviews, etc. very quickly, then creates subtopics so you can break your content into relevant sections, generate paragraphs of content based on the topics you choose and rewrite the content using an integrated thesaurus. If you want to be healthy, you should eat fruits, grains, and veggies. If you want to be healthy, you should eat fruits, veggies, and grains. If you want to be healthy, you should eat grains, fruits, and veggies. If you want to be healthy, you should eat grains, veggies, and fruits. If you want to be healthy, you should eat veggies, fruits, and grains. If you want to be healthy, you should eat veggies, grains, and fruits. You should eat fruits, grains, and veggies if you want to be healthy. You should eat fruits, veggies, and grains if you want to be healthy. You should eat grains, fruits, and veggies if you want to be healthy. You should eat grains, veggies, and fruits if you want to be healthy. You should eat veggies, fruits, and grains if you want to be healthy. You should eat veggies, grains, and fruits if you want to be healthy. If you look closely at each of the above sentences, you will see that they are not the same. Depending on the complexity of your spintax, you can create hundreds of completely unique article versions of an article, or rewrite any article quickly with The Best Spinner software. 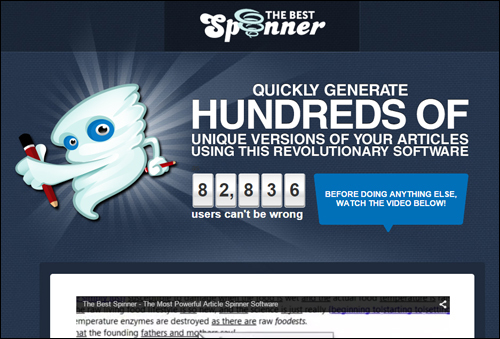 Spin Rewriter uses a process called ‘Emulated Natural Language’ spinning (ENL) to create content. ENL spinning is able to tell the difference between words that have different meanings when used in a different context (e.g. ‘John read a book‘, and ‘John tried to book a trip to Europe’). With content spinning, you can create a number of variations for each similar content section to help prevent publishing duplicated content on your posts and make each of your posts a little more unique. There are tools that can help you rewrite content faster. Use these as a means to an end, not as the end itself. If you don’t want to create content from scratch, look into tools and methods you can use to rewrite existing content where the end product will not just be “readable” content for humans, but content that actually provides unique benefits and value to visitors. Now that we’ve taken a look at using content rewriting software to create new content, let’s take a look at using ready-made content.